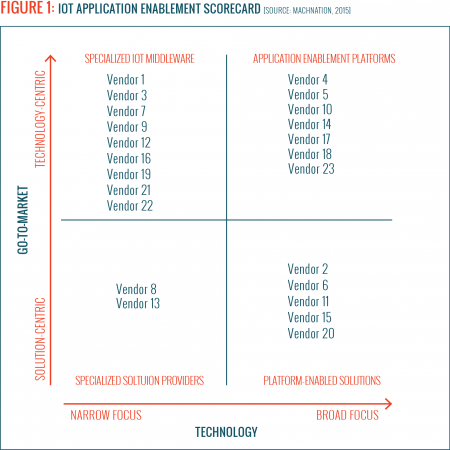 Update: MachNation has published the updated 2018 IoT Application Enablement Scorecard with 35 vendors. 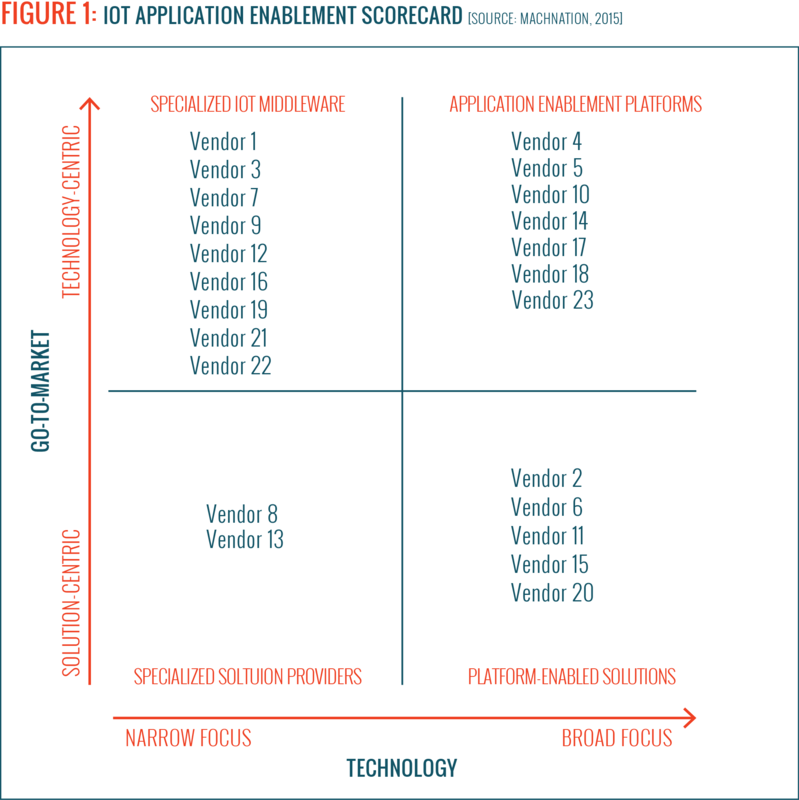 Today, MachNation published its 2015 IoT Application Enablement ScoreCard – a rating of 23 Internet of Things (IoT) platform companies. The ScoreCard rates the following vendors (listed alphabetically): Aeris, Amazon, ARM, Autodesk, Ayla Networks, Bug Labs, Carriots, Cumulocity, Davra Networks, Electric Imp, EVRYTHNG, Exosite, IBM, MachineShop, PLAT.ONE, PTC, SAP, Sierra Wireless, Telit, Waylay, Xively, Yaler and Zebra Technologies. This is MachNation’s second year of providing this deeply insightful report about IoT application enablement platforms (AEP) to its partners. In this ScoreCard and an accompanying piece of research, MachNation also discusses a new technology category called IoT platform enabled solutions (PES). The Internet of Things (IoT) application enablement space has blossomed into one of the hottest technology areas of the IoT. The technology underlying IoT application enablement is critical in making a flexible, secure, reliable and cost-effective IoT solution. For this reason, public and private sector organizations deploying an IoT solution place heightened attention on the quality of their IoT application enablement solution. A version of the ScoreCard’s executive summary is publicly available.